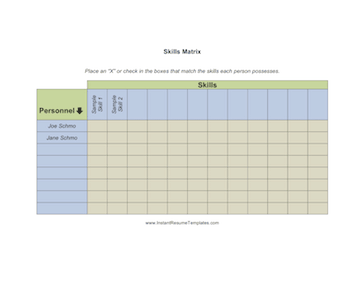 General skills matrix that allows an employer or potential employer to fill in skills and personnel for evaluation purposes. Landscape format. place an "X" or check in the boxes that match the skills each person possesses.